Alain Ducasse at Plaza Athene. 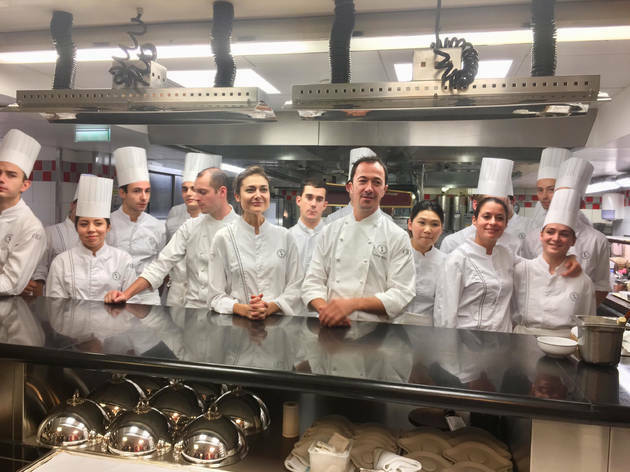 Neither chef nor hotel need introducing, both recalling a grandeur and elegance that played a part in the culinary and cultural journey of Paris. 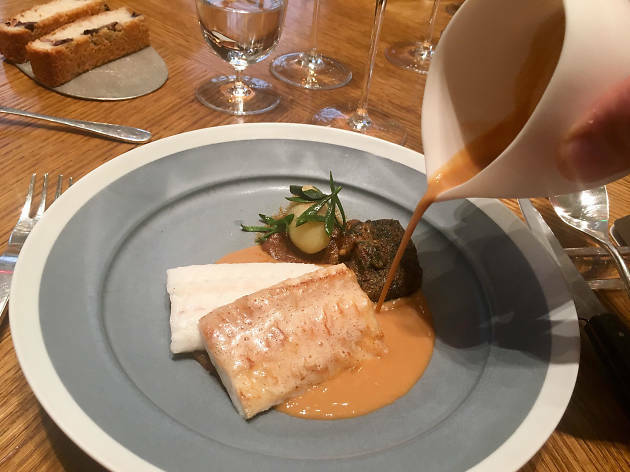 The first chef to hold three Michelin stars in three different cities, Ducasse continues to lengthen the goalposts of French cuisine. Not just a chef but a shrewd businessman, he has used his experience in the hospitality industry to open over 20 restaurants worldwide, including Le Meurice and Le Jules Verne in Paris, and Alain Ducasse at the Dorchester in London. A man whose name is his living means he doesn’t choose just anyone to head the kitchen. Especially not at the 3-starred Alain Ducasse at Plaza Athene. Head Chef Romain Meder is trained in classic French cooking, working with the likes of Hélène Darroze. Alain Ducasse noticed his talent and brought him into Plaza Athénée, later sending him on a knowledge-expanding voyage to head up Spoon in Mauritius and help launch Idam in Doha. 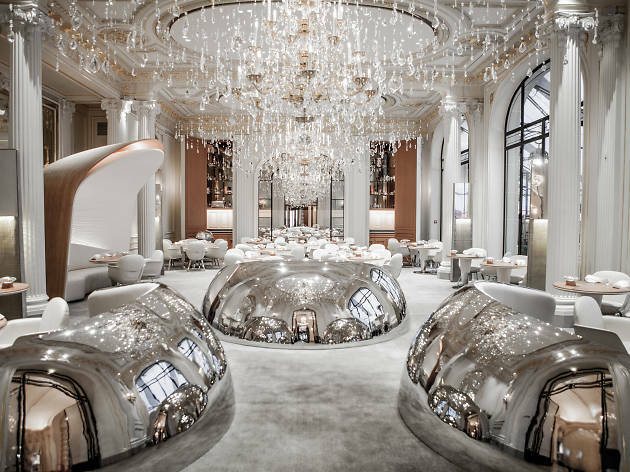 In early 2014, Meder returned to Paris to rejoin Alain Ducasse at Plaza Athénée where the pair gave the restaurant a dramatic revamp. The new menu is healthier, more natural and environmentally friendly, still based around three key elements: fish, vegetables, and cereals. The sea motif runs through the decoration, with the curves of the furniture and trompe-a-l’oeil accents intimating the undulations of the waves, the chandeliers above glistening like the sun’s rays. 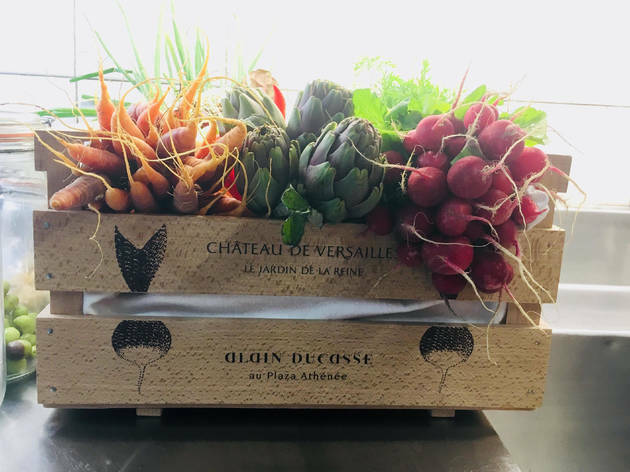 Working more with nature and using French ingredients usually imported from abroad, Meder constantly strives to evolve the Plaza’s dining experience. The tools? Only the best. The techniques? Simple ones. Heading inside the kitchen, everything is as pristine as you’d expect it to be. What's unexpected is the silence. The calm hum of the restaurant seeps into the kitchen as the team appear to work telepathically, preparing the dishes in perfect symbiosis. Meder, 36 years old, has chosen a young team to support him. Different nationalities, an average age of 23 and 6 women comprise the 25-person team. An image that contradicts any stereotypes of grey-mustached chefs clinging onto dusty copies of Larousse. Everyone is encouraged to innovate, bring skills from their countries, and test all the time. The products themselves and the way they are used are a large part of this innovation. 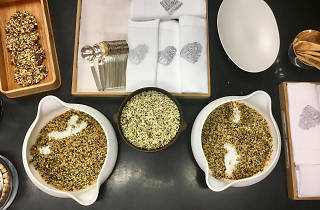 Herbs grown from the Queen’s Garden in Versailles (no less) are used for condiments, fresh juices, and a versatile herby paste. Crushed, grilled, mixed - different parts of the plant are used to different effects. On this season’s menu you’ll find it in a velouté of bitter herbs with a hay jelly and ‘pain des Amis’. 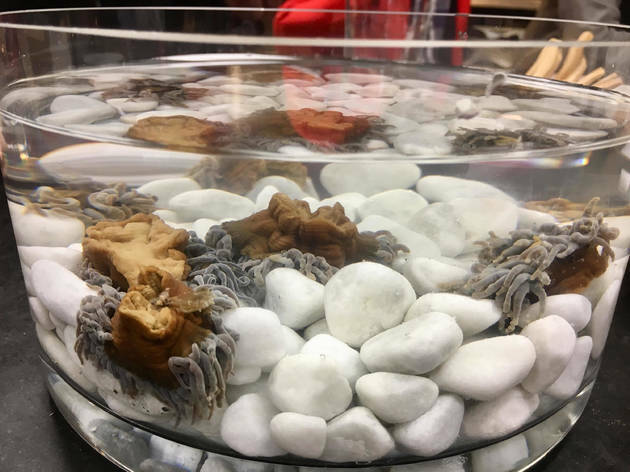 Meder also uses ingredients not typically found on menus like sea cucumbers, caught in the Bay of St Tropez. The fleshy mollusks are rehydrated, the membranes are fried then marinated for refreshing salad with ‘land’ cucumbers. Likewise, anemones are foreign beings on our plates and give the chef an open field. Fried like savoury donuts or used in a sauce mixed with red mullet, these are a true taste of the sea. Reinforcing the trinity of fish, vegetables, and cereals, the latter comes from small farms offering exclusively organic produce. 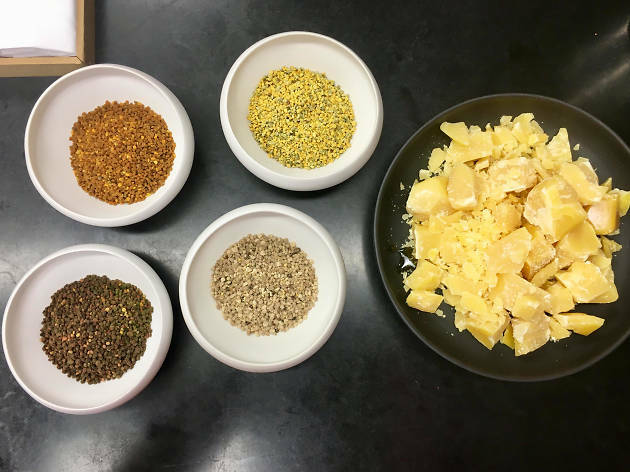 Meder and his team change nothing of the raw product, but add elements during the cooking process which enhance the flavour of the grain. 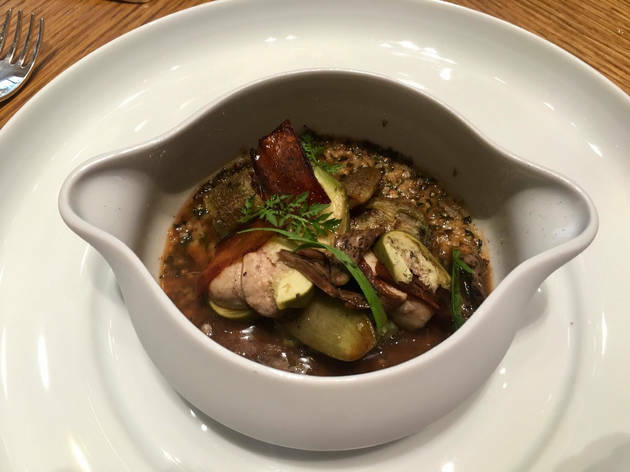 Hemp from Brittany creates a deliciously autumnal base with purple aubergines and fig fruit covered in a vegetable broth. From the sea to the sky, the humble honeybee has a prominent place in the kitchen. 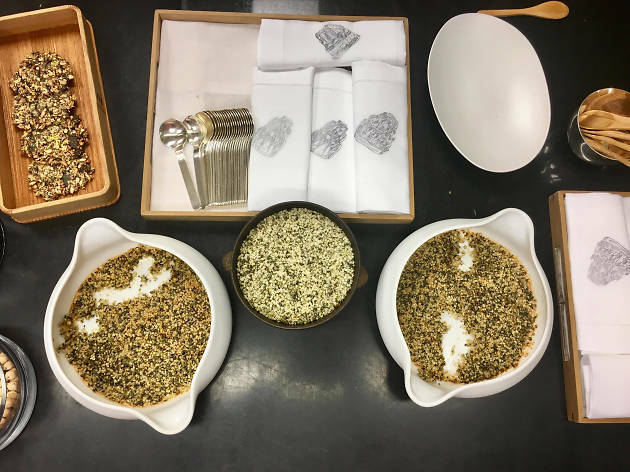 Head pastry chef Jessica Prealpato uses honey, pollen and wax from small beekeepers in different regions. Pollen, in its various colours and flavours, adds a powerful dimension to dishes; wax enrobes cherries to keep their taste; and honey is used in a rich and sweet mayonnaise, and as the golden skin on a fat oyster. Coffee has travelled further. Sourced from a plantation in Laos, this green coffee has a hazel colour and a fresh taste when brewed - similar to tea. Rather than using it as a single entity, the beans are roasted with figs in a ironware pot or a ground for a green-hued ice cream with a liquorice flavour. 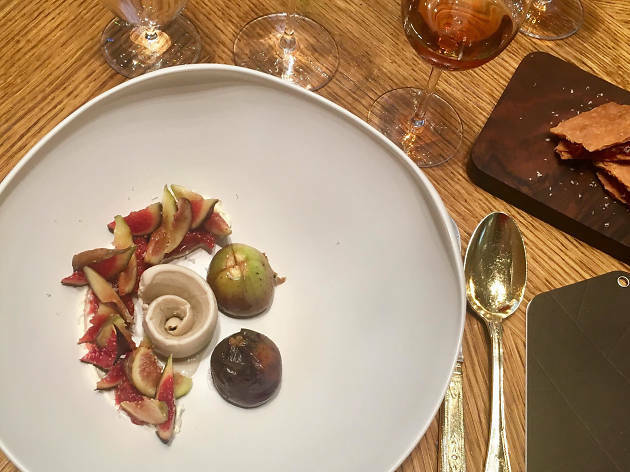 Aside from the price tag, a meal at Alain Ducasse ensures three things. A menu that defies expectations and doesn't rest on its name, an unequivocally glamorous setting, and the finest service on earth. For those that love a real gastronomic show, this is a bucket list meal. You’ll feel like a god on earth for an hour or so, savouring every heavenly mouthful.